Pockets of drought in Western Canada persisted or even expanded in January, as precipitation during the month was well below average. According to the latest monthly update of the Canadian drought monitor, January precipitation was below 40% of normal throughout much of the Prairie agricultural region, leading to the development of severe drought south of Winnipeg and in southwestern Alberta near Calgary, as shown on the map below. 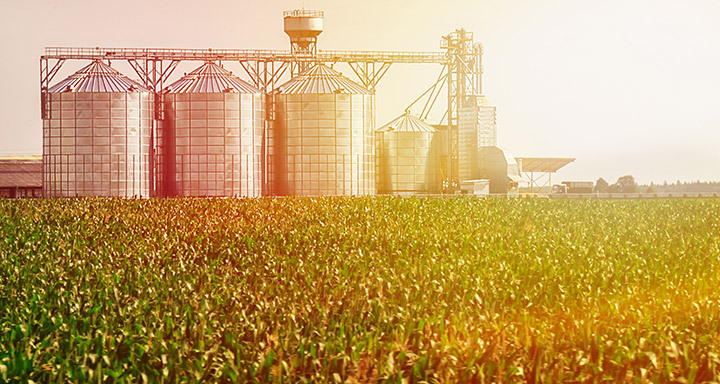 Meanwhile, wet snow in southern Alberta was inadequate to improve long-term drought conditions, the monitor said. 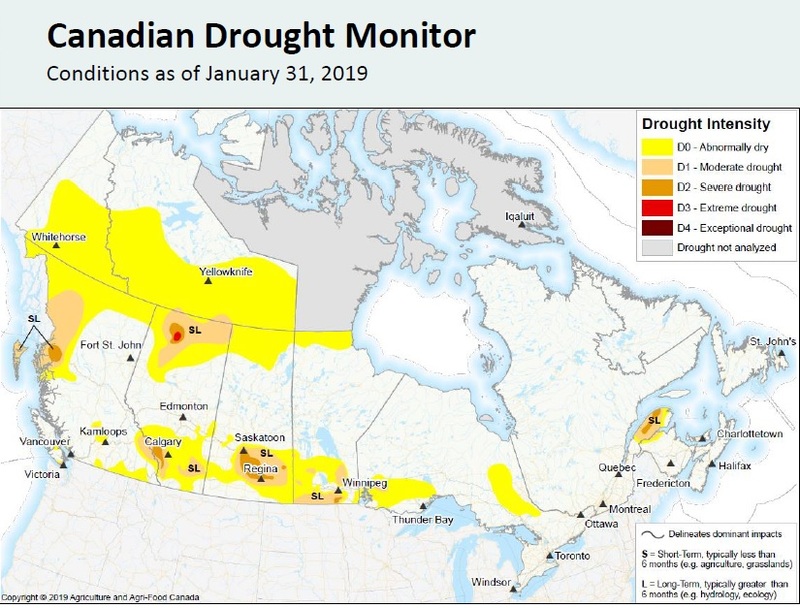 In northern Alberta, which has received well below normal precipitation for several months, extreme drought continues to persist near High Level, with severe drought conditions extending south toward Grande Prairie. Much of southern Saskatchewan also received below average precipitation during January, with moderate and severe expanding across the south.